Sir: Anne Marie Gillis for Mayor? I certainly hope not. She and her cohorts (including CAO Margaret Misek-Evans) have done most everything to exclude citizens from asking questions, or having any say on important issues. We were allowed a voice on lesser matters (dog park and trees) but on “voting,” the very basis of our democracy, and the manner in which we choose do it, was denied public input. No appeal was allowed; their decision was forced upon us. Only those involved know the truth of Mayor Mike Bradley’s purported sins and omissions. Supposing it happened as reported, the vengeful acts of retribution far exceeded a first offence. I say “first” as several of these councillors and city staff worked with the Mayor for years, yet never was a previous charge lodged against him. The CAO has agreed to create new jobs at City Hall for unneeded things and people with overspending on poorly negotiated contracts. Despite obstacles and restraints placed upon him, Mayor Bradley continues to dedicate himself to our city and its wellbeing. With unstable times, unsettled trade agreements, and downsizing, it is a challenge to be sure, but he keeps abreast of what’s happening in industry, and presses every advantage for this city. That has been his commitment since day one. Mike’s vision is based on practicality. He understands the city’s needs, its assets, and how to build on them. Wherever he sees or hears the potential for opportunity, he will exploit it to advance Sarnia and its citizens. Sir: I’m writing to express the pleasure I felt upon finding out Anne Marie Gillis was running for mayor of our fair city. I have met Anne Marie on several occasions, and most recently worked with her on a significant community infrastructure project. If it were not for Anne Marie’s dedication, this project would not have happened. I believe she is a sincere and long-time dedicated public servant who truly wants to serve the community. She has proven this time and again. When she says she will do something, she does it. When she commits to getting back to you, she does. When Anne Marie becomes mayor, the staff at City Hall will be free from the continual, proven harassment and bullying from our present mayor. Staff will receive the respect they so richly deserve, not the mistreatment they have become accustomed to. Anne Marie has a positive vision for our city. She yearns to bring staff and council together, to work for the good of all Sarnians. She has many years of leadership experience on council, which will serve her well as mayor, and will bring vision and collaboration into our City Hall. Sir: Mike Bradley was elected to be the mayor and to lead Sarnia city council for the past 30 consecutive years. During my 27 years of paying taxes in Sarnia I did not always agree with his decisions, but he represented Sarnia with honour and integrity. It’s been his “full-time” job, and not having any other job or other distractions, he did a good job of it. He was accused of bullying and harassing by some disgruntled staff and found guilty by a biased arbitrator. As a consequence, city council, instigated by Coun. Anne Marie Gillis, without a court of law conviction, assessed a monetary penalty. They barred him from his office and from interacting directly with staff, only through an intermediary, who is the aspirant to his job. Is that fair? Not in my book! If I have a problem with the city, I want to be able to call the mayor directly, discuss it with him and let him decide whose department should take care of it. Every endeavour has people who work diligently at their jobs, and others who have to be pushed and harassed to do what they are paid for. Same at City Hall. Mayor Bradley was not accused nor convicted of a criminal offence, just ‘sour grapes’ by some disgruntled staff and councillors, and he paid for it dearly. Yes, ‘Leadership Matters’ and we’ve had a good leader all these years and Sarnia prospered. But lately Anne Marie Gillis has created turmoil in an attempt to resurrect her previously failed attempt at being the Mayor of Sarnia. Yes, I will vote for Mike Bradley again, but not for any of the councillors who aligned with Anne Marie Gillis and voted to sanction Mike. We already have an experienced leader in Mike Bradley, but need new, unbiased faces on council who will not sabotage the leader to advance their own ambitions. Let us not forget, the mayor has only one vote and no veto power. The council as a group makes the decisions that affect us all. 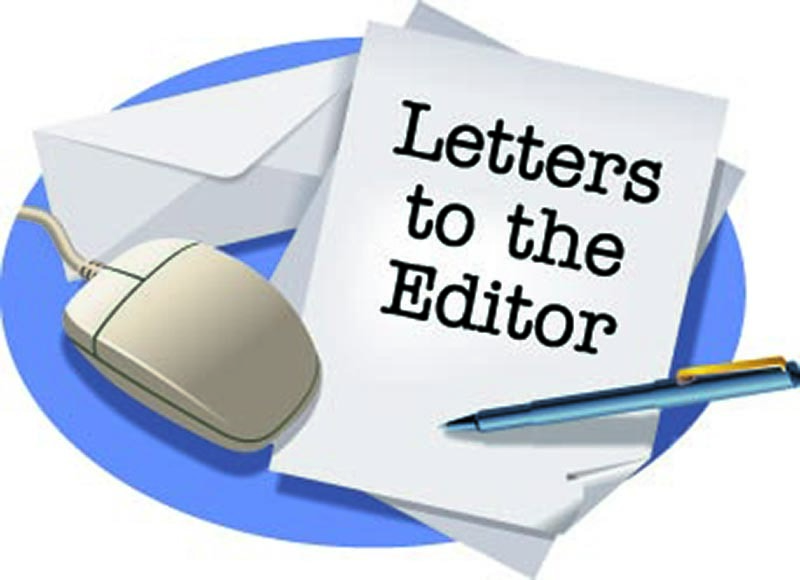 Sir: In the recent guest column Susan MacFarlane, “The pros and cons of removing fluoride from drinking water,” she discussed the addition of hydrofluorosilicic acid (contaminated industrial grade fluoride waste) to our drinking water. I wanted to make a couple corrections and acknowledgements to ensure the public is properly informed. First, it’s quite telling that as the former general manager of Lambton Area Water Supply System Ms. MacFarlane disclosed she was “paid not to have an answer” to the question of fluoridation. Most would assume (apparently incorrectly) that those charged with providing “safe” water would possess highly educated answers regarding any and all chemicals being intentionally added to our drinking water and potential health effects. Secondly, Ms. MacFarlane states she “accepts” that fluoridated drinking water is one of the greatest public health advancements of the 20th century? With all “great” public health advancements there is typically worldwide adoption of said advancements. Artificial water fluoridation is not practiced in 97% of Europe, 95% of the developed world and just over 70% of Canada. Can anyone name one other “great” public health achievement that is intentionally avoided by the majority of the planet? Lastly, Ms. MacFarlane stated there has been a “multitude” of studies on both sides, correctly stating some of the numerous potential health harms from fluoride ingestion but then erroneously using disproven information from the Calgary/ McLaren report. I accept Ms. MacFarlane’s disclosure that she is not qualified to give an informed answer regarding artificial water fluoridation, but question why she felt it acceptable to include incorrect and misleading information in her article that serves only to misinform the citizens of Sarnia. Sir: A couple of years ago I wrote a letter about why grass lawns are detrimental to wildlife and ourselves, because of the pesticides, gas emissions, noise pollutants and the few nutrients they provide pollinators. Grass is the highest allergen in the world to people when it goes to seed, which in Canada is around June. Watering is not helping our fresh water supply, while clover needs very little water. I would like to thank all of you who are letting your lawns go back to a natural state of clover, or clover and grass, or transforming lawns into habitat for bees, birds, bats and butterflies, which are our primary seed dispersers and pollinators. Every little bit helps our unique and beautiful microclimate in Lambton County and the whole Great Lakes basin. I have seen a significant increase in the population of species including monarchs and other butterflies. One day, seven different species of butterflies came to my backyard, which had never happened before. Many species have fed and pollinated on the same kinds of flora and fauna for millions of years. The monarch butterfly feeds on milkweed (asclepias) and our beautiful flicker woodpecker supplements its diet on grubs in the soil. Keep up the good work and be proud that you are helping to support birds, bees, flowers, trees and us. Sir: Recently I had to spend an extended length of time on the Surgical Floor of Bluewater Health. It wasn’t a chosen stay, but a necessary one. I want to commend all the staff on that floor and throughout the building. Despite the criticism of our Ontario health-care system, these “unsung heroes” go above and beyond every day and night. I personally witnessed and was recipient of their response to that “blasted call button” (I’m sure they hear it in their sleep). They come into the room or bathroom not knowing what they will be facing or cleaning up and handle it with professionalism and care. I witnessed their teamwork, stepping in to help with a task. One will step in to change someone else’s patients IV bag if the assigned nurse is busy elsewhere. The night before my much-anticipated release there were words of encouragement and hugs, and I was sent off with hugs and well wishes and care instructions. I want to send a huge THANK YOU to all the staff, especially the RN’s, RPN’s, PSW’s, Unit Helpers, Dietary and Custodial on the third floor. Thank you also to the Emergency Staff, Surgical, Radiologists and staff in the CT scan dept., Doctors, and Volunteers. Yes, there is a LOT that can be changed. But it was a blessing and encouragement to witness that, despite the imperfections, a group of professionals rise above it and do what they have been called to do. I hope I don’t need to see them professionally any time soon, but am extremely grateful. 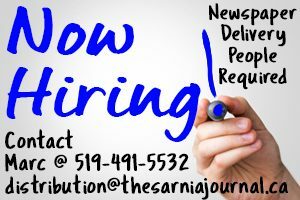 Sir: I wrote a letter to The Sarnia Journal in 2015 sharing our positive experience working with young people on our staff. It was my way of expressing my gratitude to the parents (and caring communities) out there doing a great job of raising a new generation of young adults. Now, in 2018, I want to follow up and say thank you once again. Not long after my last letter, we left our catering and event work to focus on our restaurant, Maison St-Aubin. Those great children we were working with went off to find other jobs or go back to school. We were sad to think we’d lose touch. But we needed new staff, the word got out. Three of our former servers contacted us and we were delighted to see them return. Around the same time, our youngest employee, a dishwasher, showed an artistic ability. Sensing his potential, our chef (and my husband, Marcel) encouraged him to try his hand at plating dishes and he rose to the task. Through his own initiative, this young man is looking for new responsibilities and is always striving to improve. All this is to say we feel fortunate to keep working with these conscientious young people. Their enthusiasm and curiosity helps keep our work exciting. Though we often hear people decry the “Post-Millennial” work ethic, we have had only positive experiences with young staff that prove themselves reliable and creative time and again. Sir: The article on trail encroachment dealt with the Howard Watson Trail only. A more serious encroachment occurred on the Nick Malik (Lakeshore) Trail west of Mike Weir Park. It involves not only mowing and planting but also building structures. Yes, City Hall should act on it.